The 2015 Georgia Technology Summit (GTS) is coming up soon, set for March 25, and will be held at the Cobb Galleria Centre in Atlanta and the Technology Association of Georgia (TAG) will be on hand to present its list of the Top 40 Innovative Technology Companies in Georgia. The Technology Association of Georgia is the state's leading association dedicated to the promotion and economic advancement of the technology industry in Georgia. The Top 40 Awards from TAG are given to tech companies based in Georgia for their innovation, financial impact and their efforts in spreading tech initiatives from Georgia throught the globe. One of the recipients of this award is HiLumz USA. HiLumz USA is a multinational lighting company and prides itself on offering customers LED and other lighting products that have longer life cycles, lower costs and smaller sized fixtures and components. According to President and CEO of TAG Tino Mantella, "The 2015 Top 40 finalists are an elite group of innovators who represent the very best of Georgia's Technology community. The 2015 Top 40 finalists are shining examples of what makes our state such a hotbed for technology and and we applaud them for standing out as leaders in Georgia's technology community." The Top 40 companies for this year's award were selected from over 100 applications submitted by companies from all over the state of Georgia. The elite companies selected for the Top 40 will be showcased in an exhibition at GTS 2015. "Our eleventh year of the Top 40 was an overwhelming success, based on the number of truly innovative companies that aprticipated in the competition," according to Dennis Zakas, founder and partner of Zakas & Leonard, LLP, Chair of Group Office Buys, LLC, and chairperson of the Top 40 Selection Committee. "The Top 40 winners demonstrate the depth and breadth of Georgia's technology community," Zakas added. 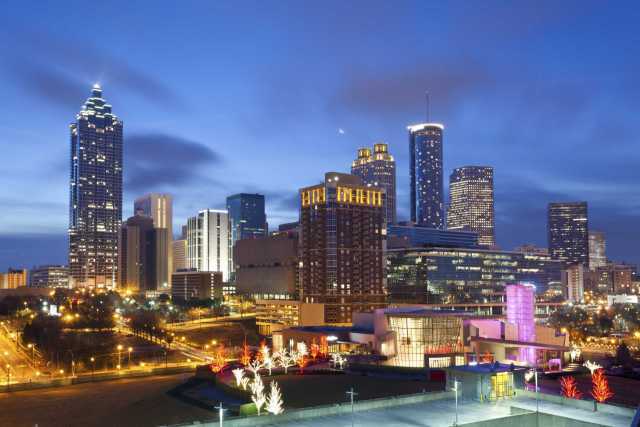 The 2015 Georgia Technology Summit itself is expected to draw in over 1,300 C-level executives, entrepreneurs, technology professionals and academia. The summit will recognize and celebrate Georgia's technology community and will include presentations from some of the best technology influences in the country along with the induction of the newest members of the Technology Hall of Fame of Georgia.